Recipes, food tips and general foodie ramblings by someone with way too much time on their hands…. As you know I have been on a quest to find meals that freeze well. Sadly most recipes don’t have any advice on freezing. Nevertheless I have come up with a selection of great meals that freeze well and are healthy too. We all have such hectic lives these days that having a few tasty meal in the freezer is an absolute winner. A good way to build up your supply is cook one new dish each night for a week but instead of making just enough for dinner make a few extra portions and freeze them. By the end of the week you will have 10 – 15 fabulous meals tucked away for a rainy day. Excellentio! 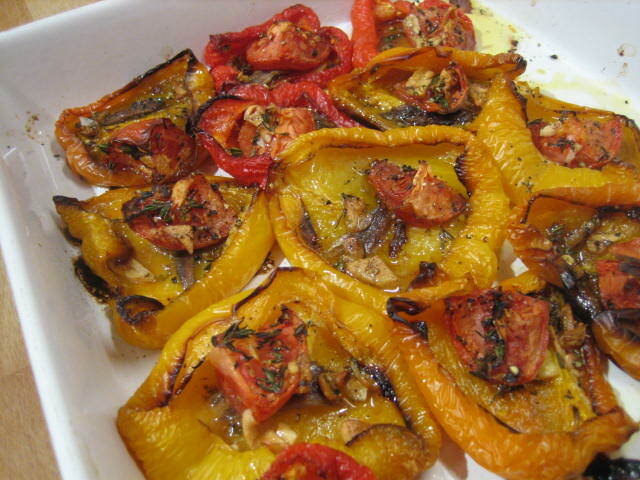 Halve and remove the seeds for the peppers and pop in a ceramic oven proof dish, add an anchovy fillet a 1/4 of a tomato and sliced garlic (2 cloves between the lot). Liberally drizzle with olive oil and season with salt and pepper. 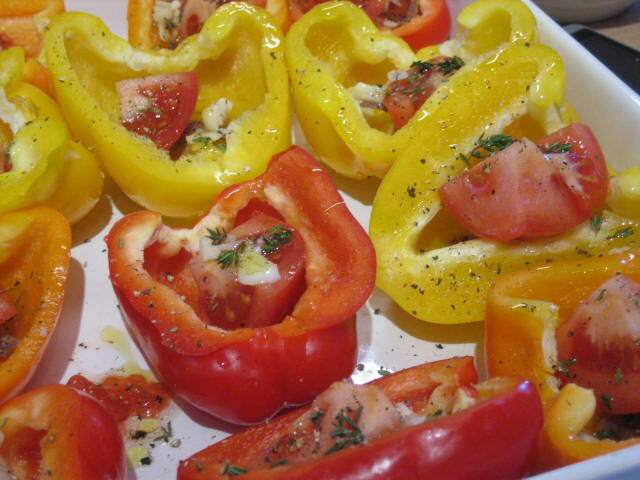 Bake in a preheated oven at 160 degrees Celsius for 45 mins – 1 hour or until peppers have collapsed and are tender. As the peppers are baking finely dice the onion and crush the rest of the garlic. Saute in a large glug of olive oil (about 3 tbsp) and a pinch of salt. Saute on a low-medium heat until soft and sweet. 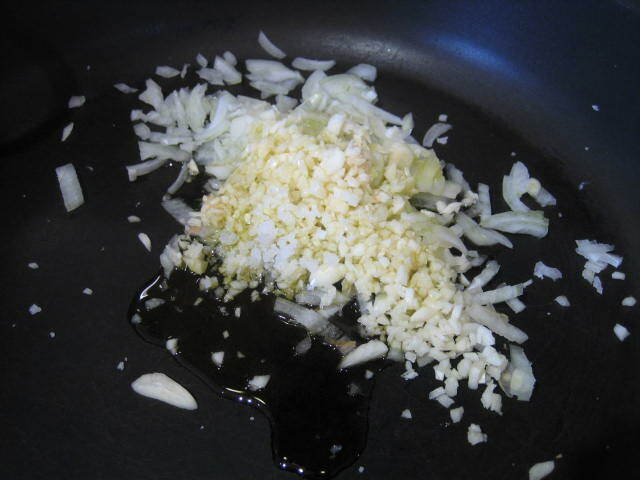 Add 4 anchovy and continue to cook until they are “melted”. 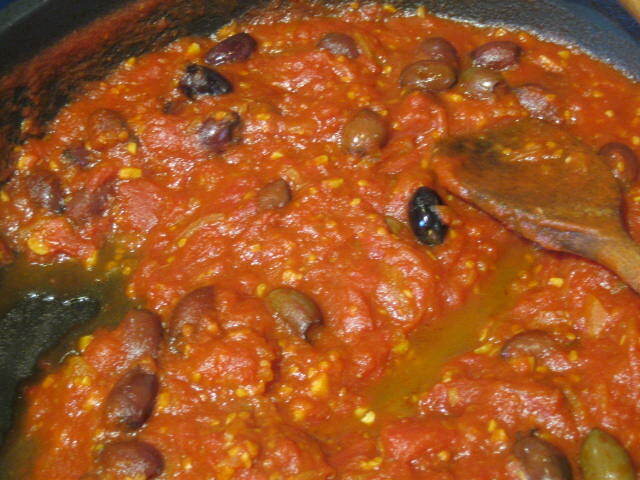 Add the tinned peeled tomatoes, 1 glass of white wine and the drained Kalamata olives and tsp of sugar. Bring to the boil and simmer on a low heat until tomatoes have broken down (30 mins). While the sauce is simmering, trim the chicken removing any excess fat. Melt butter in a heavy based frying pan add chicken and brown all over . Once browned remove and set aside in a separate bowl/plate. Do not over crowd the pan so do this in batches. 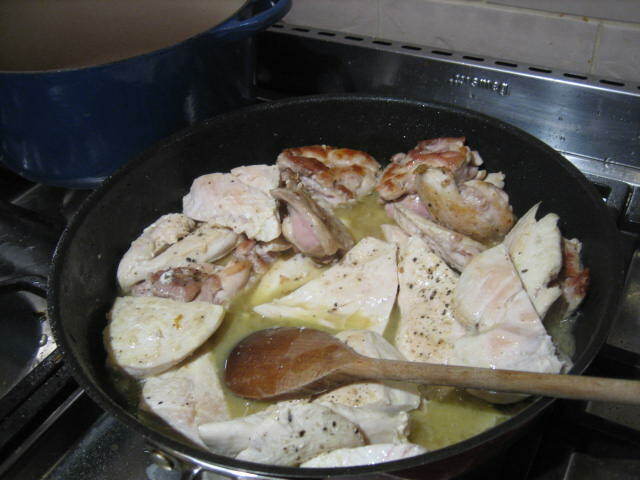 Once all chicken is browned pop it back into the pan and add a little wine to ensure all the pan flavours are used. Simmer for a couple of minutes then add into the tomato sauce (add a little water if sauce is too thick). Simmer for a further 35 minutes (or until chicken is cooked through and tender). 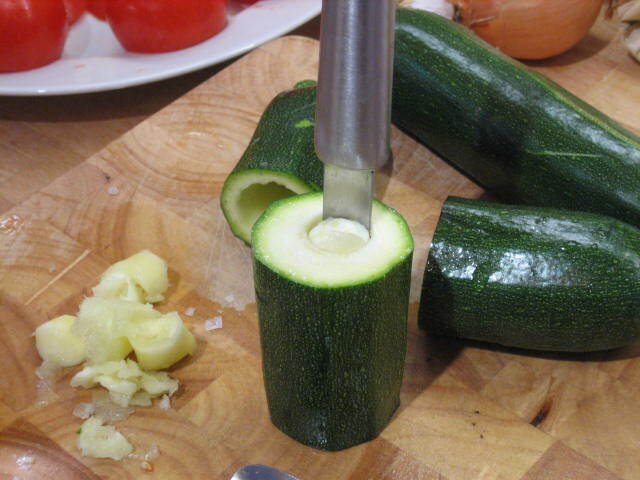 Slice the courgettes length wise into 4 mm slices (approx). Toss in olive oil and season with S & P and grill in a char grilling pan. 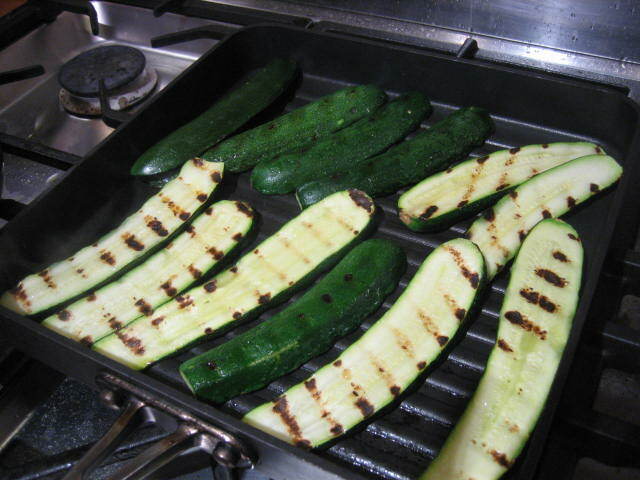 If you do not have one you can roast the courgettes in the oven on a baking sheet or fry in a normal frying pan. The courgettes need to tender. 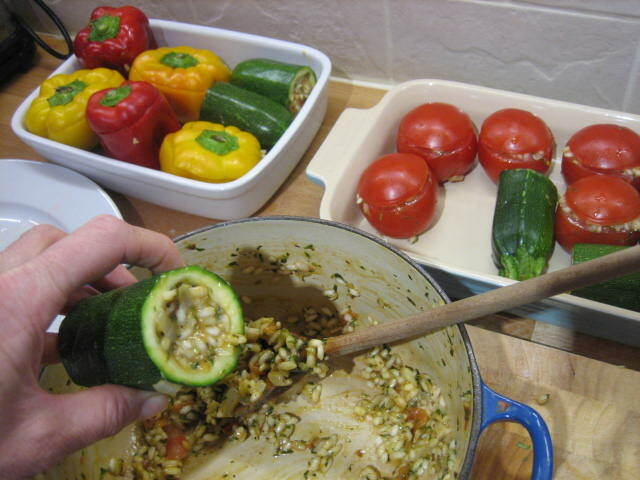 Slice courgettes into 2 cm slices and mix through sauce with finely chopped parsley. Season to taste and serve with one halved baked pepper. Serve with creamy mashed potatoes. Delish! When freezing, portion out into individual serves adding 1 half pepper to each. Make sure the chicken is cooled as quickly as possible and frozen straight away. This should keep for 3 months in the freezer. Remove from freezer 1 day before and defrost thoroughly in fridge before reheating. 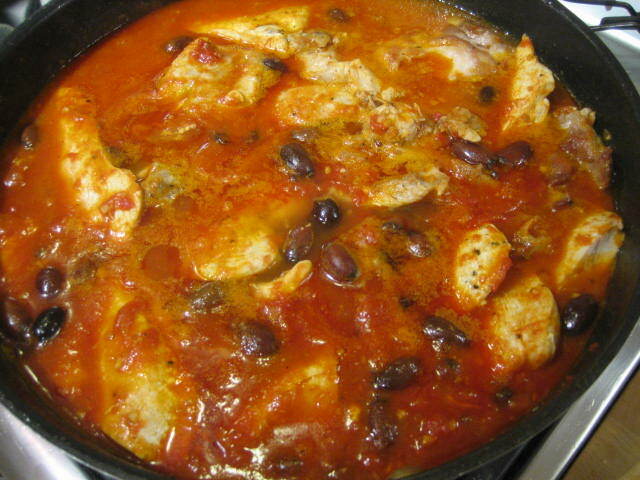 Reheat by popping into a heavy based sauce pan and slowly bringing to a simmer. Always ensure that when reheating food it is heated until piping hot. Try not to reheat too vigorously as it may toughen up the chicken. I am on a roll with Greek food. No matter where I go I seek out Greek restaurants hoping that they will have an old Greek granny in the kitchen making traditional Greek food. Unfortunately more often than not I am disappointed. One of the best Greek restaurants I have ever been to was actually not in Greece. It was in Balmain in Sydney and was called Artemis’s Village. For many years it was my favourite restaurant. I felt like I was having dinner at my Greek friends house eating proper “home cooking”. Great Spanakopita (spinach and cheese pie) and Tiropita (cheese pie), amazing Saganaki prawns (large fresh prawns in a garlicky tomato sauce with chunks of feta dotted through) and Gemista (stuffed veg). Unfortunately Artemis (the Greek mama in the kitchen) retired and the family sold the restaurant. It was taken over but was never the same….sob sob. I judge all Greek restaurants on the quality of their Gemista. Firstly I will not even bother going into the restaurant unless they have Gemista and secondly it must be vegetarian – why do some restaurants put mince in their stuffed veg – yuck! 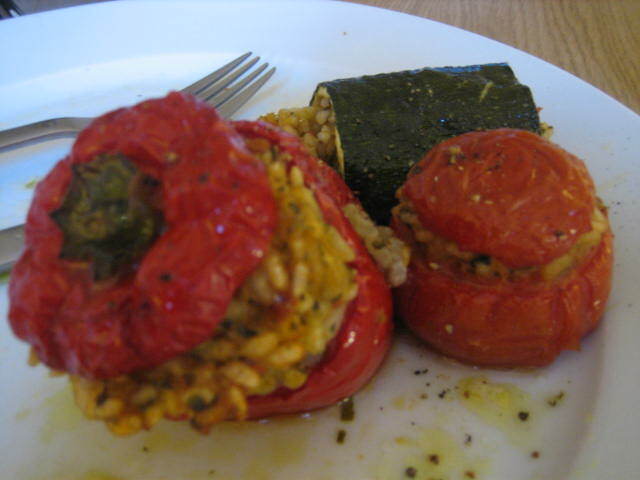 I have successfully made stuffed tomatoes many times before but have been unsuccessful with my stuffed peppers. So I had a little google search the other day and scanned a few recipes. 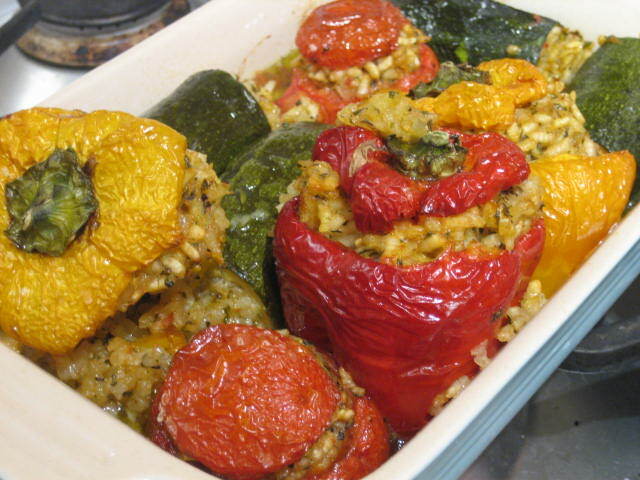 One thing I picked up from my searches was once the peppers were stuffed and put in the oven a glass of water was added to the roasting dish. This makes the peppers nice and soft and also prevents them burning. With this new piece of culinary genius I had to tackle stuffed peppers one more time. Pre heat oven to 190 degrees celsius. 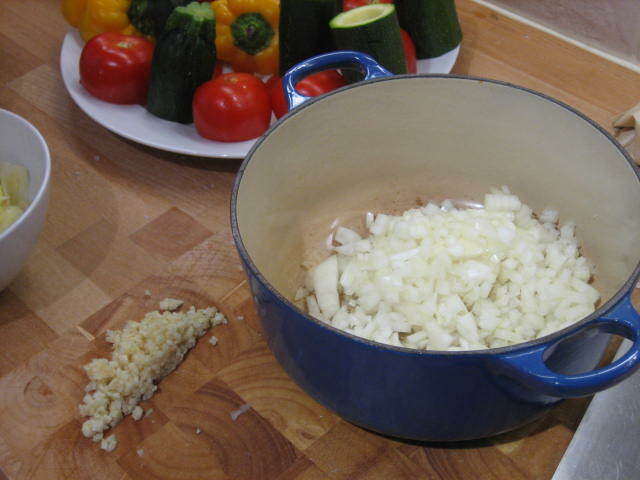 Finely dice onions and garlic and saute in a heavy based pan with about 4 tablespoons of olive oil and a pinch of salt. 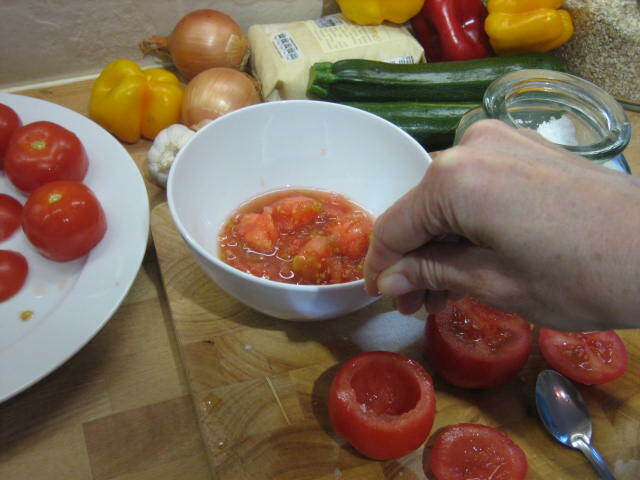 Cut the “bums” off 6 of the tomatoes to make a lid, scrape out the insides of the tomatoes and add to a bowl. Sprinkle with salt and leave upside down on a plate. Cut the tops off the peppers and discard the seeds. 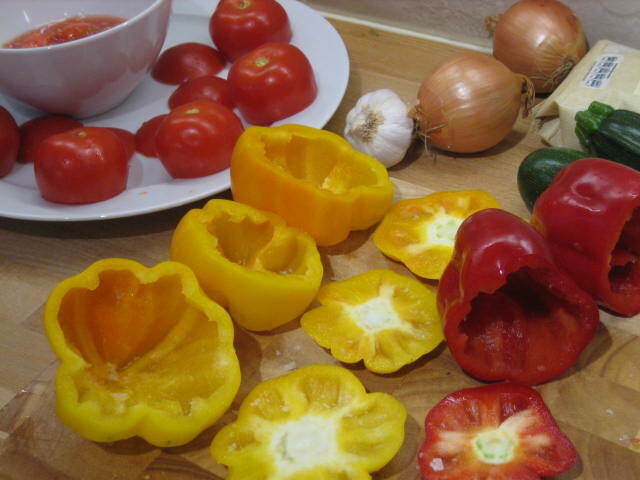 Sprinkle with salt and place upside down on the plate alongside the tomatoes. Cut the courgettes into 3 leaving the stem on, carve out the middle of the courgette, chop and keep to the side. Sprinkle inside with salt and add to plate. 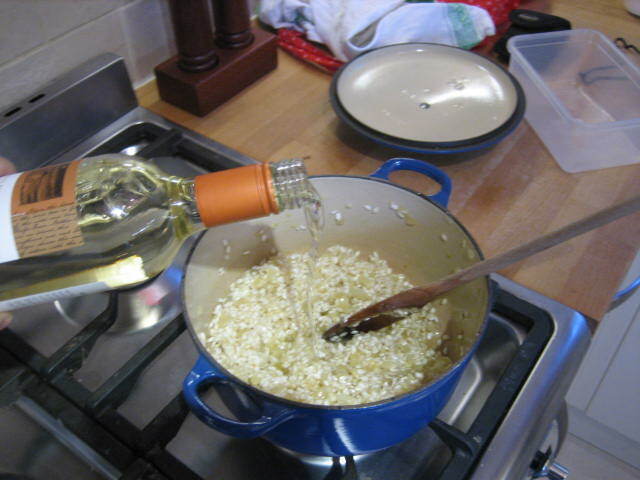 Once onions and garlic are cooked, soft and sweet with no colour add the rice and stir through until coated with oil. 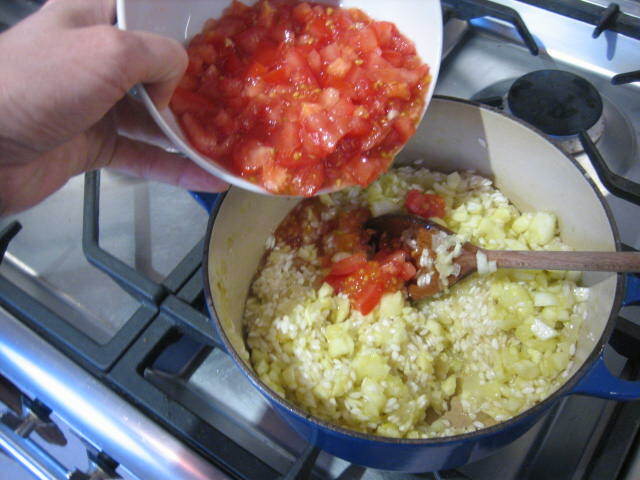 Chop up the insides of the tomatoes and the 2 left over tomatoes and add to the pot with the chopped up courgette insides too. Turn the heat down and simmer until the rice has cooked for about 10 mins. Try not to add water there should be enough liquid. However if it is really drying out you can add a splash of water (make sure the heat is not on too high). The rice should be cooked but still have quite a bite too it (more of a bite than you would have with a risotto). 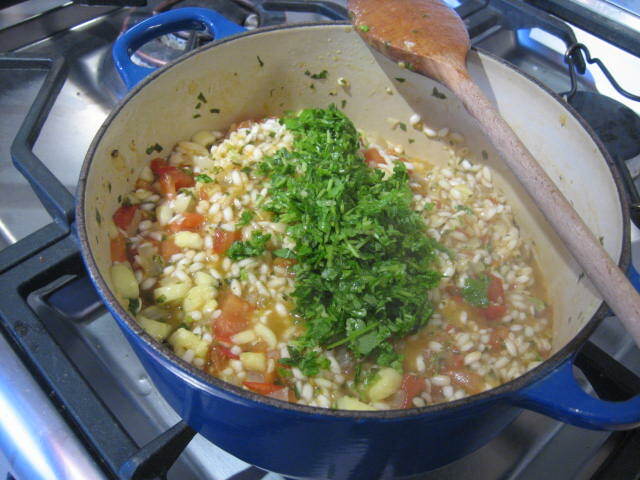 Finely chop the parsley and mint and add to the rice along with the thyme leaves. Taste rice for seasoning add salt and pepper if you need. 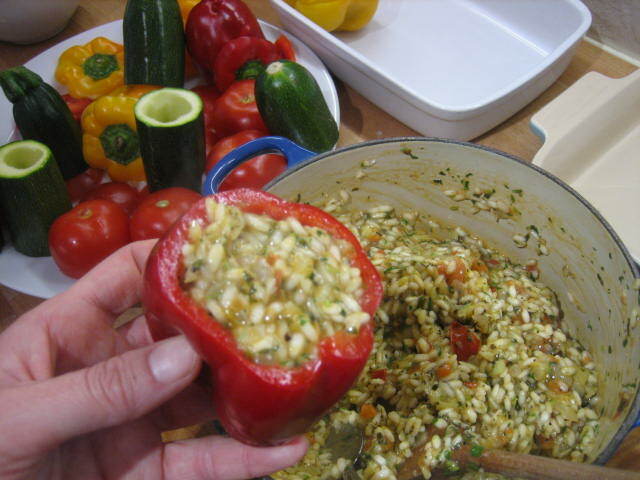 Fill the tomatoes, peppers and courgettes with the rice mix and put the lids on the peppers and tomatoes – make sure you do not over fill the veg as the rice will continue to expand as it cooks in the oven and it may split the skins. 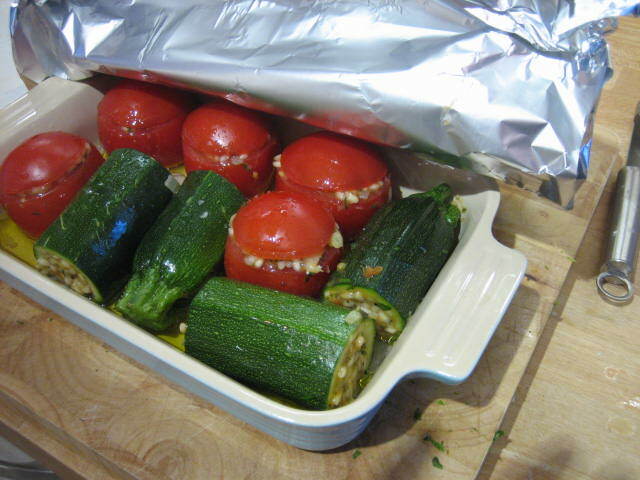 Pack stuffed vegetables into a ceramic dish with at least 5 cm sides. Add a glass of water and a drizzle a good quantity of olive oil over the veg. 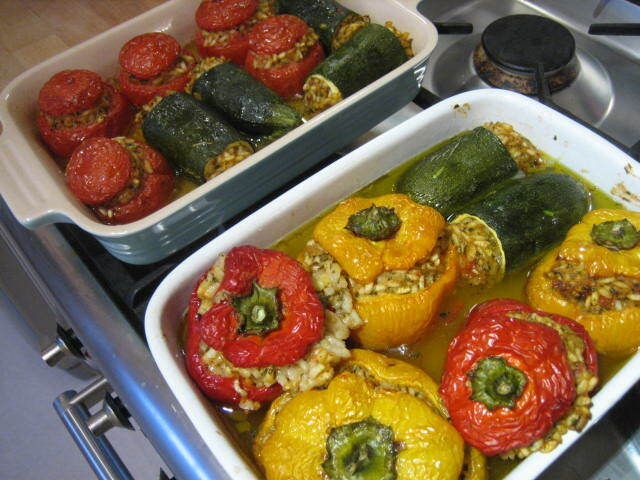 Pop it in the oven for 1 – 1 1/2 hours or until the peppers are soft/collapsed. I covered mine with foil for the 1st half of the time so that it steamed too but you do not have to do this. Serve with a green salad and a glass of chilled red wine. Fabulously chocolatey gooey pavlova with raspberries and whipped cream – if you don’t try this you are a fool! !